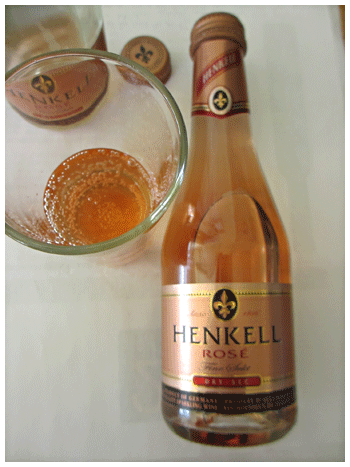 Okay, I’m jumping ahead but I just had a piccolo of Henkell Rosé so I’m thinking summer. Henkell was the cool thing to pour at weddings in the 70s but it can no longer compete with the high standard of today’s Proseccos and Cavas. Or so I thought before tasting the newly arrived Rosé – which is fresh, fruity and terribly easy to gulp. These minis are ideal for week night aperitifs, office lunches or boring sports events. Handy screwcap. Henkell is back! P.S. Look for my early-summer Rosé list next week. I have become a big ros� and rosado fan over the past 3 yrs. Muga is certainly better value than those cheeky French numbers. Loved Spain’s Gran Feudo we had a few nights ago…great food wine. Yikes! Clearly I didn’t drink ENOUGH.